Trio M is the collectively led ensemble of Mark Dresser, bass, Matt Wilson, drums, and Myra Melford, piano. After several years of working together in different contexts and talking about forming a trio, Trio M performed their first gig at the Athenaeum in La Jolla, California, in January 2006. Everything about the experience just clicked. A few months later they played several more gigs and then agreed to record Big Picture in December 2006. Big Picture includes compositions by each musician, several of which were originally performed by their own ensembles. However, the character that the music takes on with Trio M is unique. As pianist Myra Melford says, "We enjoy discovering the different qualities evoked and places that the music goes in this particular configuration, among these musical personalities." 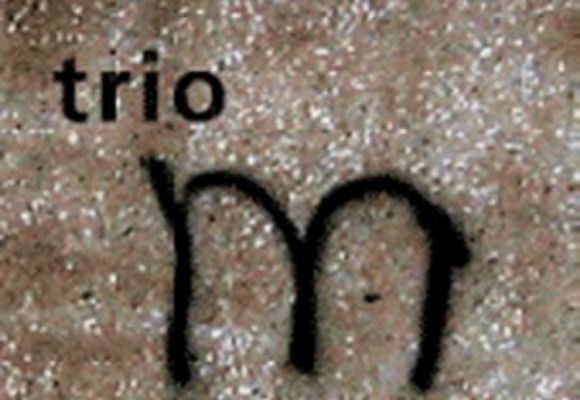 Its clear that Trio M is special to each member of the group, and unique in the sense that it is an ensemble of equals. Matt Wilson expresses this sentiment when he says, Ive been a huge fan of Myra and Marks contributions to modern music over the years, and I was thrilled when the planets aligned and we were able to assemble on the sonic playground. The love and trust of sound guides our journeys, and the results are spiritually rewarding and remarkably fun to witness. Honest music without restrictive borders or unfair classification is evident in the explorations. Savor the Big Picture and proclaim Trio M, Mmmmmm Delicious!